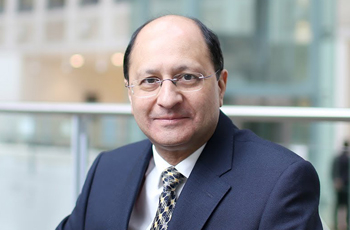 Shailesh Vara has served as Conservative MP for North West Cambridgeshire since May 2005. Recently in the June 2017 General Election, Shailesh received 37,529 votes, which equaled a 58.6% majority, retaining his seat. He was educated at Aylesbury Grammar School and Brunel University and qualified as a solicitor. He has worked in the City and the West End of London, as well as in Hong Kong. He is married with two children. Shailesh has held various posts in the Conservative Party including being a Vice-Chairman of the Party during 2001-2005. Apart from his shadow ministerial brief, Shailesh holds a range of other responsibilities. These include being Joint-Vice Chairman of the All Party Parliamentary Group on Trafficking of Women and Children, Treasurer of the BBC All Party Parliamentary Group, and Vice-Chairman of the Executive Committee of Conservative Lawyers. During 2005-6, Shailesh was a member of the Select Committee on Environment, Food, and Rural Affairs, and in 2006 he served on the Standing Committee of the Companies Bill; scrutinising the largest Bill ever to go through Parliament. Moreover, during 2006 he was Joint Secretary of the Conservative Backbench Group on Foreign affairs. In 2006, Shailesh introduced a Private Member's Bill to extend the age range for women to have compulsory breast cancer screening from the present 50-70 to the 45-75 age range. Unfortunately, the government did not allow the Bill to progress. In 2007, Shailesh tried to introduce another Private Member's Bill to give greater protection to householders when they sought to defend themselves and their property from intruders in their homes. Again, the government did not allow the Bill to progress. He has previously served as Vice Chairman of the Conservative Party nationally, as Shadow Deputy Leader of the House of Commons, as an Assistant Whip, as Parliamentary Under-Secretary for the Ministry of Justice, and as Parliamentary Under-Secretary for the Department of Work and Pensions.